I love places where you can easily get around using solely public transportation, but unfortunately Norway isn’t really one of those places. I mean, if you stick to the cities then public transport will be fine, but if you want to venture into the countryside? You’ll need to rent a car for that in Norway. 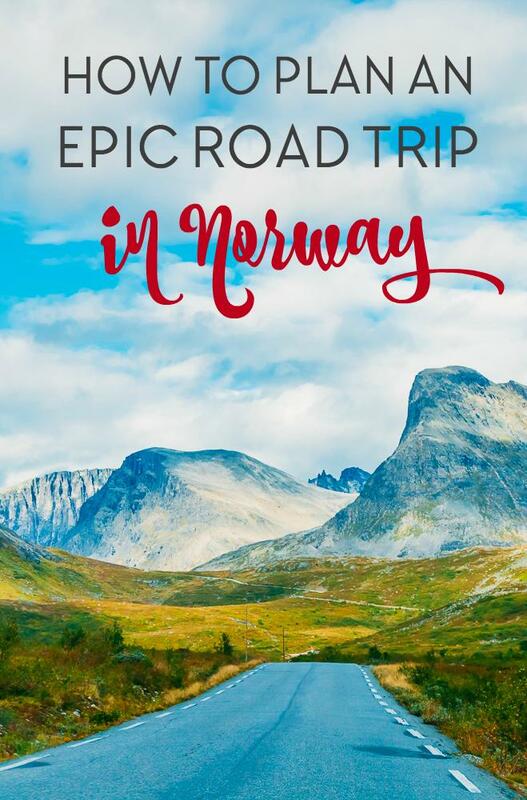 Luckily driving in Norway is an amazing experience – in fact I tell everyone who visits that they have to consider a road trip when planning a trip to Norway! Plus, public transport can also be really expensive in Norway, so if you’re traveling with other people and want to see as much of Norway as possible, you’re definitely best off renting a car here. Renting a car in Norway is actually a really good option for budget travelers not only because public transport is expensive here, but also because the cheapest accommodation options are usually outside of the main tourist areas where buses might only pass through once or twice a day. So by renting a car in Norway you can potentially save on transportation AND accommodation. Plus road trips are so much fun! 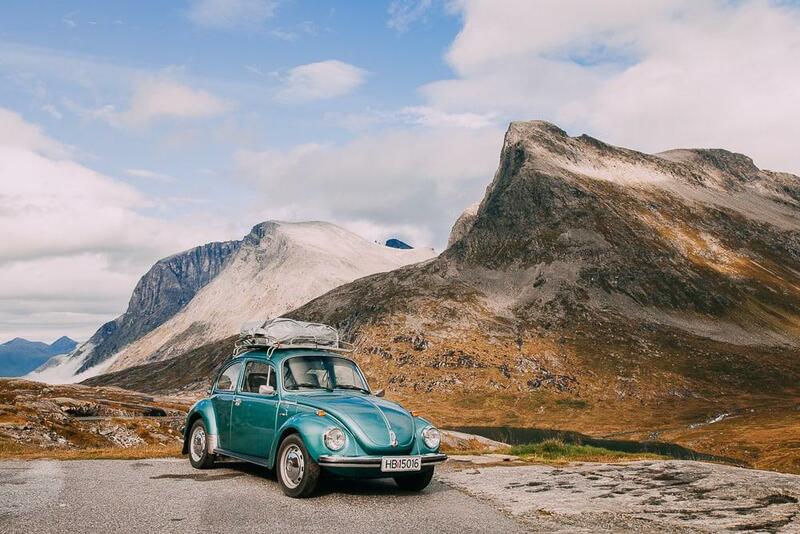 While I’ve now been living in Norway for two years, I’ve also spent most all of my summers in Norway since I was a kid (visiting family here), so I’ve definitely learned a thing or two about the whole process of renting a car and planning a road trip in Norway. I mean, with Norway’s nonstop breathtaking nature it’s kind of impossible to have a bad road trip here, but here my best tips for making yours truly epic. The good news is, if you’re traveling with multiple people, renting a car in Norway is going to be a lot cheaper than relying on public transport here. Plus driving in Norway is really easy, as the roads are all well-maintained and there’s very little traffic. Of course the bad news is, it’s still going to be expensive. At least, a car rental in Norway is going to cost more than rentals in southern Europe where you can get a car for like $50 per week. But! If you book well in advance you can actually get some really good deals on car rentals in Norway too. 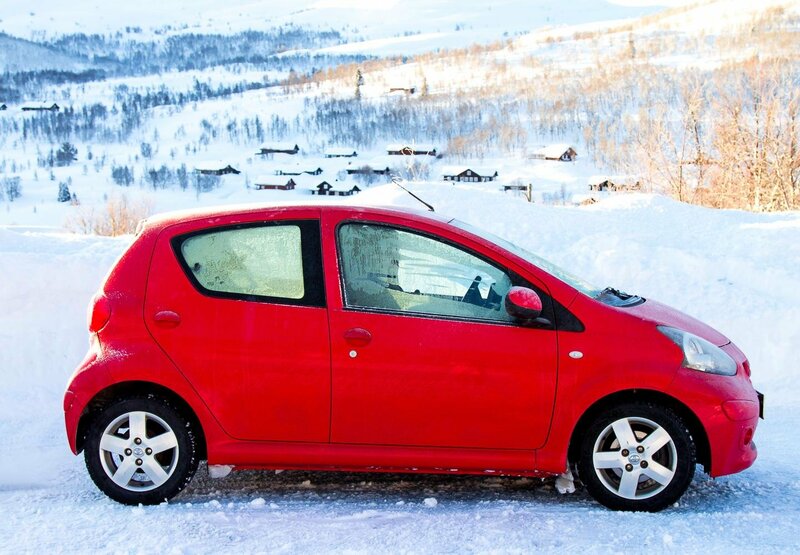 And as fuel in Norway is expensive, definitely go for the smallest, most fuel efficient car you can find. You’ll also likely be covering huge distances, as Norway is a really big country, so I always opt of unlimited mileage. Or at least make sure you get a minimum of 200 – 300 km a day, depending on what you have planned. And don’t worry, all cars in Norway have to have winter tires in the winter by law. This isn’t the case in other places in Europe, though. My family has rented cars during the winter in Germany before and then driven up to Norway with them. And it’s always incredibly difficult to drive in Norway on year-round tires! Norway is enormous, and with all those mountains and fjords even what look like short distances on a map can take a really long time to cover. Luckily Norway is full of airports, many of which have international flights, so I’d highly recommend deciding what you want to see in Norway before choosing your flights. And if you can’t find a direct flight into the region you’d like to explore then check out the domestic flight options. The main international airports in Norway are in Oslo, Bergen, Stavanger, Tromsø, Trondheim, Ålesund, and Haugesund. If you’re interested in Norway’s cities and mountains fly into Oslo. 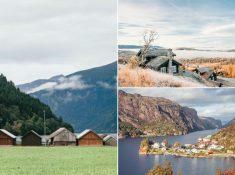 If you’re interested in the fjords but still want to see a city fly into Bergen. If you’re interested in fjords and mountains, including Geirangerfjord, Trollstigen, and the Atlantic Road, fly into Ålesund. If you want to see the Northern Lights, the Arctic, and Lofoten fly into Tromsø or Bodø. If you’re still unsure of where to go, click on the different regions of the map below for a summary of the region’s main attractions and links to my blog posts about each area. Norway has a lot of absurdly scenic roads, but it also has its fair share of boring highways. And you definitely don’t want to spend the bulk of your epic Norwegian road trip driving through tunnels, which Norway has a lot of. 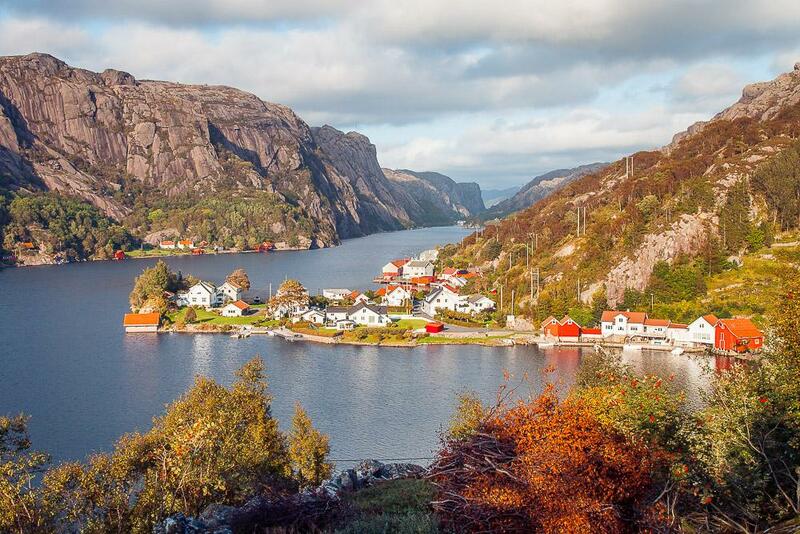 An easy way to find Norway’s most scenic roads is by using the National Tourist Routes map. Just to warn you, their website is super glitchy and I still haven’t managed to get the map to load on my phone, but it’s 100% worth pulling out your laptop to check out this site, because every single road listed on it is guaranteed to be amazing. I always check the map before setting out on a road trip and I try to take detours through as many of the tourist routes as I can. I’ve now driven 10 of the 18 routes and have never been disappointed. In fact driving in Norway is kind of my favorite thing ever, thanks to all the amazing views! 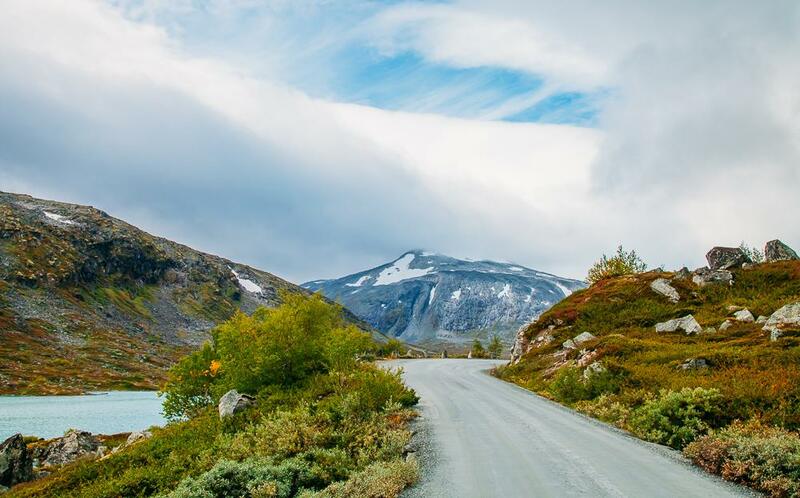 Of course not every scenic road in Norway has made it onto the list of National Tourist Routes, so to find more beautiful drives you’re best off asking locals! Norwegians love to gush about the beautiful nature here, and I feel like at least once a week someone is telling me about a drive that I just have to do here. I personally love to use Couchsurfing to connect with locals from an area (even if I’m not planning to use it for accommodation) but of course you can also find people on Facebook or other social media channels. I never would have visited Åna-Sira if a local hadn’t told me about it! A lot of the high mountain roads close during the winter, and it’s easy to forget that winter in Norway can mean September to June. Even if you’re traveling on a tight schedule, it can still be worth leaving one day free. I’d especially recommend doing this if you’ll be visiting a particular place that you’ve always dreamed of seeing, because the weather here can be really unpredictable so you might end up needing an extra day to (hopefully!) let the skies clear. 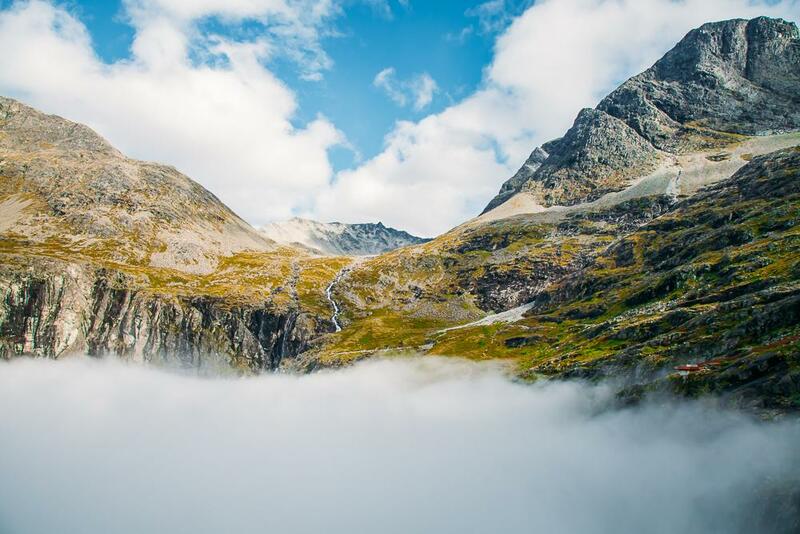 I wish I could have stayed an extra day to see Trollstigen without the fog! 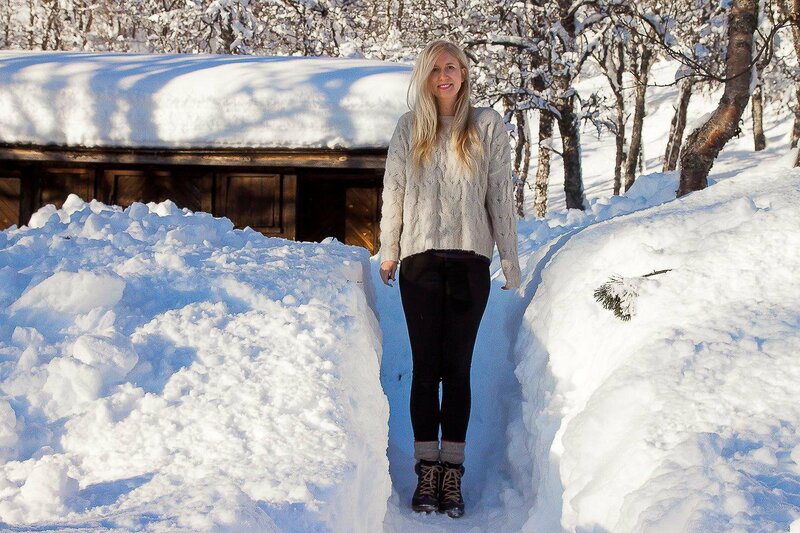 Even if you’re visiting Norway in the summer, you’ll need some warm clothing – especially if you’ be driving up into the mountains. And if you have a good waterproof jacket and waterproof trousers (I love these ones!) 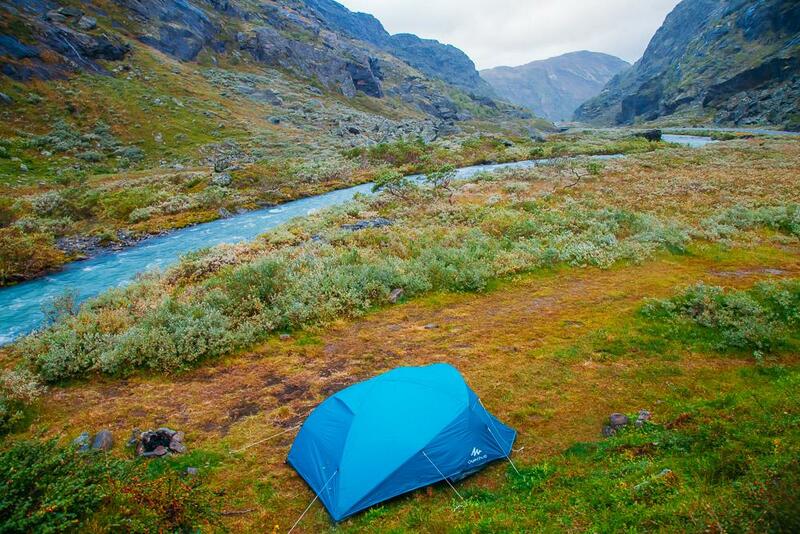 then you won’t need to let bad weather stop you from enjoying Norway’s nature. Even in the summer I would recommend bringing warm thermals to wear under your clothes while in the mountains, a good quality wool sweater, and of course a raincoat and rain pants. Even in the summer the nights in the mountains get really cold, so make sure your sleeping bag can withstand freezing temperatures. And while wild camping is totally legal here, I do try to camp out of sight of the road. 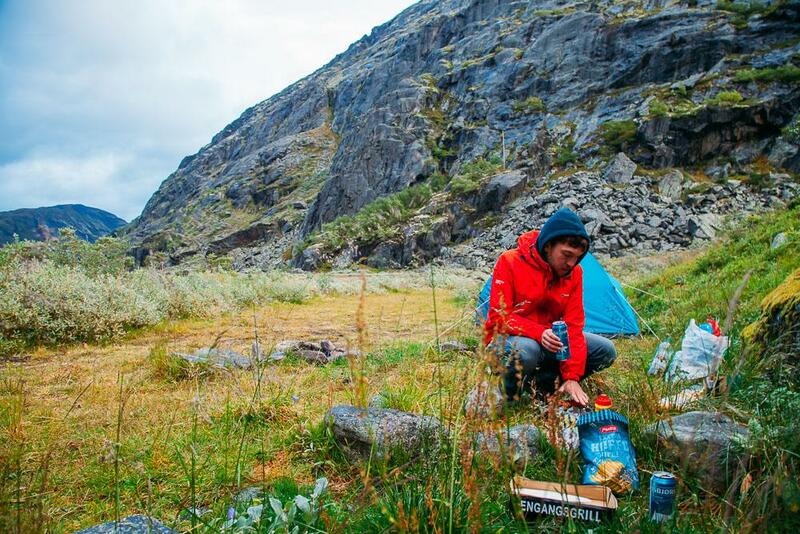 Last summer there was a lot of press in Norway about European tourists loading their cars with food and camping their way through Norway, spending almost no money while here, so a lot of locals don’t look too kindly on tents. It’s really silly, but the one time I did camp by the side of a road I was honked at all night, and when I asked other travelers about it many had experienced the same thing. Besides, it’s much nicer camping away from the noise of traffic anyway! Having the extra space of a car makes it a lot easier to buy and store food for meals, which can save a ton of money while traveling in Norway. I generally eat one restaurant meal a day on my travels and balance out the expense with cheap grocery store meals the rest of the day. If you are traveling on a tight budget then read my post about eating on a budget in Norway. Anyone have any tips to add? Share them in the comments! P.S. 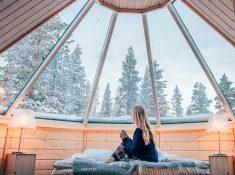 I’ve written up loads of guides for the best accommodation in Norway for different budgets, including lots of hidden gems in the more popular areas. You can see all my accommodation guides here. 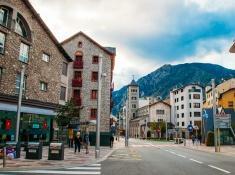 Barcelona to Andorra: The Perfect Weekend Getaway? Such helpful information. This will be my 2nd time to Norway. But I am planning on end of September for northern Norway. I know most of the will not be running at this time from what I’ve researched. But for closed roads, would it make a difference for the beginning of Sept vs the end of Sept into October? Some roads do start to close at the end of September, so early September would be a safer bet! Hi, Planning a trip April 17-26 ( have already purchased my ticket) I’m wondering how driving will be, from what i’ve read today, most of the scenic routes may still be closed. What are are my realistic options, should I switch to train travel? I was looking forward to driving but not sure it’s the right option now. Also, I am flying into Oslo was planning on going north/west with my main focus being Stave church’s, Fjords, small interesting towns. I will be traveling by myself, although I grew up in snow, driving just want a realistic expectation. Thank you! We are in the midst of planning a trip to Europe. Norway was actually not on my horizon. All that has changed after I chanced upon your blog and realised what I was missing. Now my focus has shifted to bringing in Norway into my tour. We would be making that trip around May – Jun 19 and at the moment it looks like we may visit Norway, Sweden, Finland and three of the Baltic States. I also like your idea of connecting with couchsurfers. I have been on Couchsurfing but have never used any of their options. 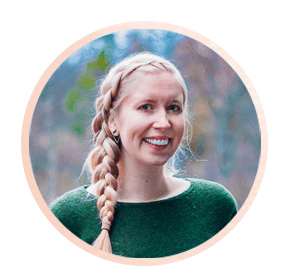 Thanks for writing such a lovely blog and giving me motivation to think Norway for our visit pla. Hello Silvia, your Norway blogs are extremely helpful. I was super confused about our upcoming trip to Norway in late June. I was convinced to buy NIN and add days to that cruise. But now, I think we will drive down. We will be in Oslo after touring Sweden and Copenhagen. We plan to spend 6.5 days in Norway. I was debating if we should go to North(Lofoten) or around Bergen/ Ålesund. We have two kids 11/12 yrs. What do you suggest they will enjoy more? Although, I am leaning more towards Bergen/ Ålesund 🙂 Also, can we drive from Oslo to Bergen/ Ålesund and get back to Oslo in 5 days? Thanks Much and I look forward to reading more about your adventures. 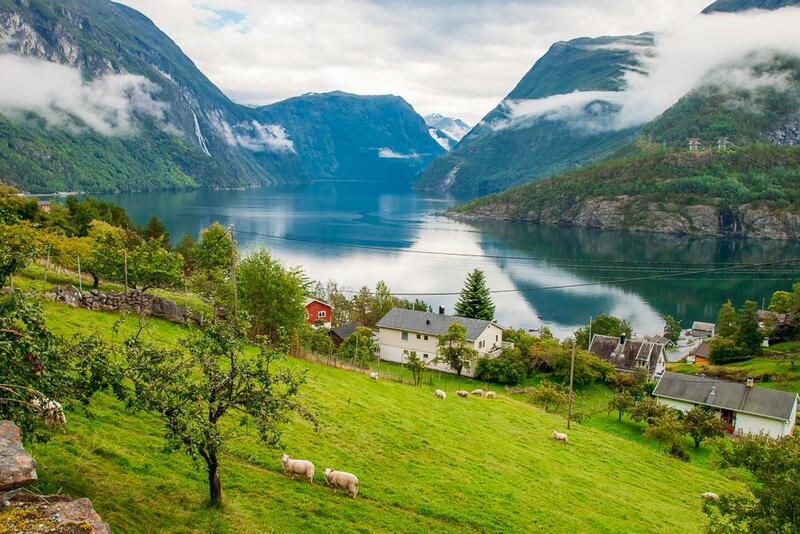 Norway is one of the dream place to visit. Lots of places to explore may 1 month is not enough to explore. Thanks For sharing your views upon hiring a car to explore the Norway. May its a great experience. We are visiting to Norway. First to Oslo. So we thinking to explore with campervan rental. We thinking to book a campervan in oslo. Starting trip from Oslo. Own bed, and kitchen. Is it good idea to hire a camper van in Oslo and explore Norway by road. Is this cheapest or we will hire a car, What you suggest? Actually from my experience I wouldn’t recommend hiring a camper van. 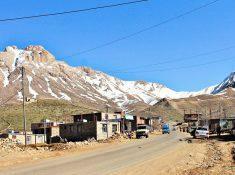 Petrol here is very expensive and with the cost of staying at campsites you won’t really save money. I would recommend hiring a smaller rental car and staying in self catering cottages and apartments instead. Have a great trip! Iam planning Norway trip of 8 days with my family (2 adults and 3 kids) on March 22 flying to Oslo. 2 days in Oslo and then will take a train to Bergen. From there I would like to rent a car for the rest of my trip. Is it possible to do road trips and what places to visit. Iam clueless as I read the roads are closed and there will be snow (I dont have snow driving experience). Your suggestions will be greatly helpful. Hey Silvia, Great article, really inspirational! I’m planning a roadtrip in Norway for next month! We’re thinking about renting a car in Karlstad, Sweden (we’re exchange students) and driving up to Bergen and back. We want to experience as much of the rough-fjord-nature. How is your experience with hostels on the road? Is it possible to make 200km a day and find some hostels? It should be possible, though it might be smart to try to book some places in advance. Have fun! Me and my partner are very keen hikers and having spent almost two years in Canada, we love the outdoors and what nature has to offer. And the sleeping spectacular mountains and lakes of course! We are planning a trip to Norway next July and will be renting a vehicle and most probably paying a one way fee in the process. We would like your advice on which one of the two routes to take during our trip, which will be approx. 10-14 days. We have briefly looked into Stavanger to Bergen (RV13) or Stavanger to Oslo. Based on the fact we love to hike, really enjoy being outdoors and look in awe at amazing landscapes, which of the two would you recommend please. Any other suggestions would be greatly appreciated. Thanks and really enjoyed looking through the site and the tips and advice you provide. Definitely Stavanger to Bergen. Have fun!